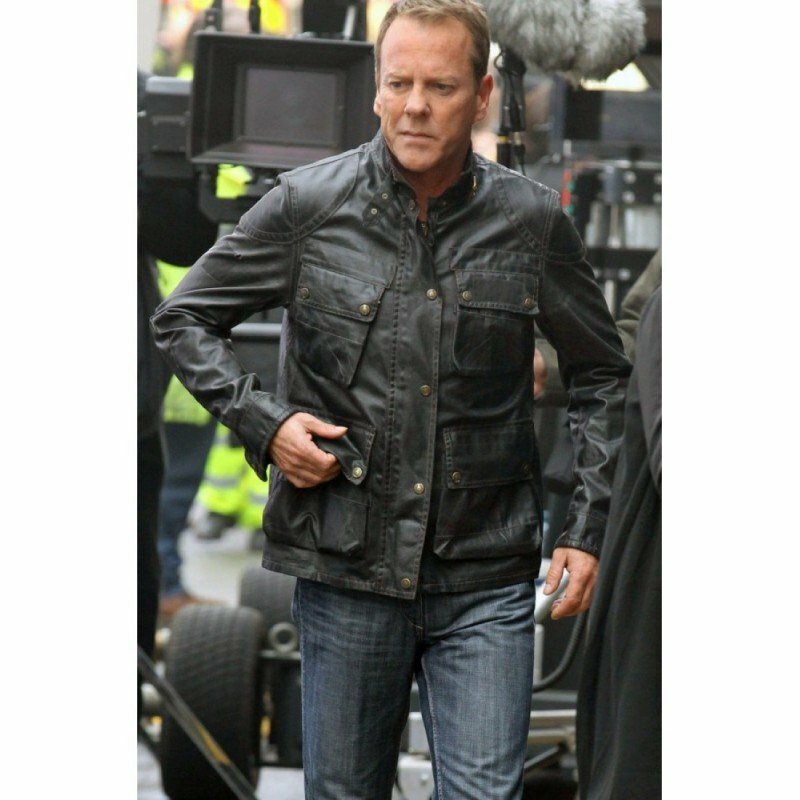 From the insanely crazy Tv shoe 24 Live another day we bring the insane Kiefer Sutherland live Another Day Jack Bauer Jacket made with genuine leather and pockets up front. This 3/4 jacket has phenomenal design and values as it has a button and zipper closure, inside hidden pockets, snap tab collars, punch button pocket four on front and inner viscose lining. You can go to a war wearing this jacket fill your pockets. The leather is waterproof and the shoulder has designed with hem cuffs, This Jack Bauer jacket is one of its kind and is now available on sale from americasuits.com, the trusted name in the industry.